It was me Dave, Mike Stemen. We smoked 'em this year on the ice. Keith Shue, Frank Karafa, and Scott Macawitz. Never could spell his last name. Got a 31.5 incher this year. 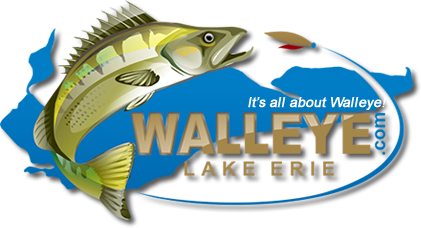 36 years on and around Western Lake Erie enjoying fishing, boating, scuba diving, waterfowl hunting, and working seasonally on the Islands and Port Clinton. Ran the Lake for 17 years in a 30' wood Lyman (no longer have a boat). Know the Lake and islands well. Working on underwater video projects, some posted on You Tube and my Lake Erie website, www.ilakeerie.com, a Lake Erie informational website, which also has live Lake Erie webcams, including a live out-on-the-water charter boat webcam. I am constantly gathering and adding content to the site and am always looking for people to help me out - especially taking me out with them on fishing and boating trips. Usually up at the Lake most weekends and some weekdays from mid April through October/November. Everything regarding Lake Erie, especially creating content for my Lake Erie website. Calibration Technician; Entrepreneur; outdoor webcam development; Lake Erie website.